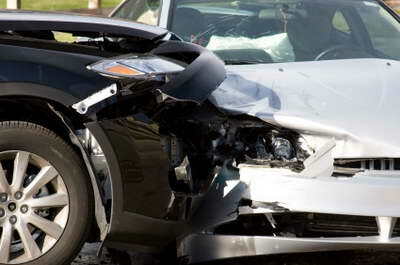 Motor vehicle accidents occur every single day throughout the streets of Vancouver. Accidents, whether they result in minor or serious injuries, present a number of different challenges to all involved parties. If you need assistance, you can turn to our law firm for guidance and comprehensive legal services. Located in Vancouver, Epstein Law represents individuals in personal injury, motor vehicle accident claims and ICBC claims. Our team is friendly, approachable and committed to helping our clients reach a favourable outcome for their legal situations. We will work diligently to ensure that your best interests are advocated for at all times. Individuals look to our law firm for comprehensive legal solutions. We analyze the claim from a 360-degree perspective — taking a detail-oriented approach to gathering information and examining evidence. Our team will help you get to a qualified medical professional, so you can get medical treatment as promptly as possible. The legal team at Epstein Law will personally guide you through every step of the legal process involved in your situation. Once you retain our services, we will take on the burden of dealing with the complexities of a personal injury claim. Our Vancouver car accident lawyers can help you get prompt medical treatment, ensuring that the extent of your injuries is determined and a course of treatment is prescribed. We have connections to a wide range of medical professionals, such as doctors, specialists, surgeons, physiotherapists, psychologists, occupational and orthopedic therapists and more. When you work with Mr. Epstein and our team, you can expect to be informed of the timeline of your case immediately, and when you can expect to get compensation for your case. We will not charge interest on disbursements, meaning we do not take money after helping you get to a medical professional. You will not have out-of-pocket expenses when you work with our team, nor will you be charged interest on any items. We will even take cases where there are disputes on liability, which includes cases where you (the injured victim) may be partially at fault for the accident. We can obtain MRIs, physiotherapy and specialists appointments that the public health system cannot. Now you do not have to wait weeks, months and sometimes years to see a specialist to make a determination of your health. By seeing these specialists you will receive a faster diagnosis and better treatment for recovery. To arrange a free initial consultation, we invite you to contact our law firm at 604-685-4321. Our team is happy to schedule meetings at your convenience. If you are seriously injured and unable to come to our office, we are happy to meet with you at a location of your choice.